Enter for a Chance to Win Earrings Inspired by Reese Witherspoon’s Oscars Jewelry: Find Out the Details Here! Capping off a breathtaking awards show season, Reese Witherspoon stunned on the red carpet for the Oscars 2015 on Feb. 22. Alluring in a regal Tom Ford gown, the Wild actress opted to accentuate her frock with the Tiffany & Co. Pear-Shape and Marquee Diamond Cluster Earrings in platinum from the jeweler&apos;s 2015 Blue Book Collection. If her dazzling sparklers put you in a trance, then hold on to your hats for a chance to win a lookalike pair in Us Weekly&apos;s giveaway. 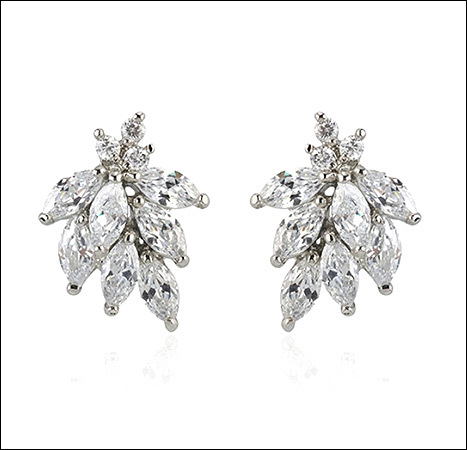 Enter Us Weekly's giveaway to nab your special pair of earrings inspired by Reese Witherspoon's diamond Tiffany & Co. sparklers. Enter for a chance to win the Samantha Wills “You Are All I See Silver Earrings” ($110, Samanthawills.com), today, March 19 only, by clicking this link.